I like to think of the Green Phone Booth as one of those tents in Harry Potter. From the outside, it looks like an ordinary tent, but push aside the front flap and you'll glimpse a wondrous and spacious (yet cozy) space. There's always room for one more in the Booth. With that sentiment, I'm happy to welcome two new bloggers to the Green Phone Booth. 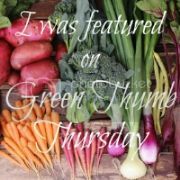 The first you may be familiar with because she's been blogging about being a green mama since April '08 and also manages the APLS Carnival. The other you've already heard from many times here at the Booth, and we decided it was high time she was made official. JENN, THE GREENMOM OF THE BURBS! In her typical 24/7 life, Jenn is a musician and a mom, working two jobs plus whatever freelance gigs come up, schlepping the short people everywhere they need to go, and managing a disorganized but happy household...but on the eighth day of the week, and during those extra hours beyond the 24 we all normally get (you know, the ones every mom somehow learns to squeeze out of the day), she's the Green Mom of the Burbs, defying the minivan brigade, vaporizing take-out menus, and carrying on a happy and fulfilled life without ever going shoe shopping or visiting the inner aisles of the supermarket. Welcome ladies! I am thrilled to see two more capes sticking out of the booth. Rock on with your bad er, good selves! Welcome ladies! So happy to have you here. Is being green a religion? Or part of it? 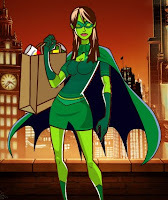 Superhero Secrets: Green is the new Pink! How do you green up your kids? Love it or leave it... Or, maybe alter it? Open ye the east door and let the new year in!